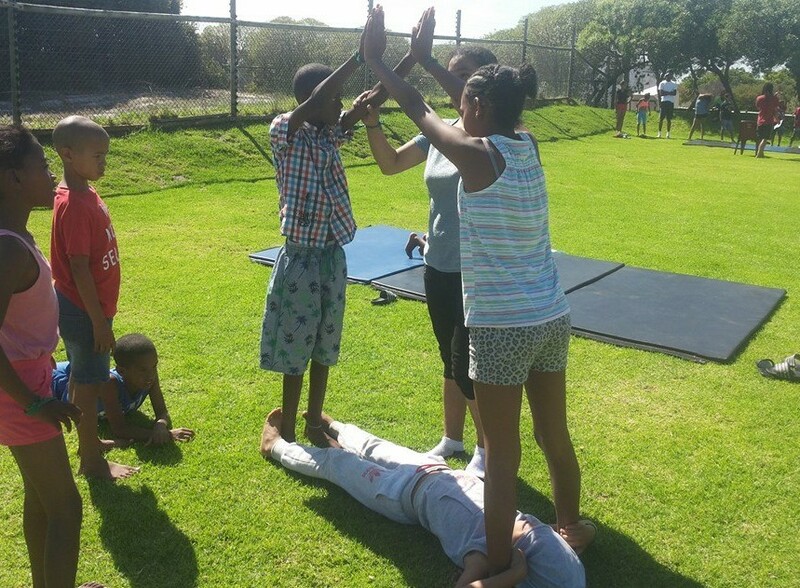 We recently took a group of youngsters from Hanover Park who are part of our social circus outreach program for a fabulous weekend away to Princess Vlei Eco Adventure Center. An amazing time was had by everyone. It was the first time away for many. We kayaked participated in team building activities and had fun in groups with creation of numbers, shapes and letters. All assisted with the daily duties of cleaning and preparing food while learning about responsibility and working as a team. It was an enormous success. 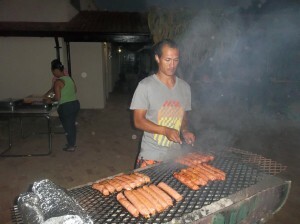 We would like to thank Wesley Councillor the Department of Sport and Recreation for donating the venue and a fabulous braai and Golden Arrow for a reduced rate and getting us there and back safely. I honestly enjoyed my entire stay at the camp. The whole week leading to, I would call it; “My weekend of fulfillment”, I was so excited and enthusiastic about going on this camp I was counting the days, then hours, the minute to eventually boarding on the bus. The longer we drove I could feel my excitement building up and becoming more intense. The fun on the bus already told and showed me that I was going to enjoy all of it, from the beginning to end. The activities, the games, the educational programs and even meeting/ personal interactions with the rest was AWESOME!!! I especially enjoyed pyramid activities. It personally taught me the importance of trust. I now know that all can be achieved with determination and correct mindset. The exiting memories my heart and mind will always have, wont ever let me regret going or hesitate ever going even if its today. My name is Donell Gietzmann, I’m 22 years old, female. 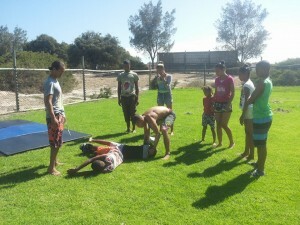 This past weekend I went with ActionArte to Camp at Pricess Vlei. I had a wonderful experience there. 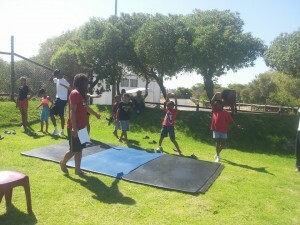 The children from our community, which is Hanover Park also went with to the camp. 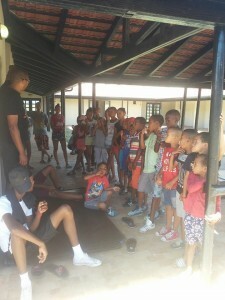 My favorite part of the camp was getting to know the kids, seeing them enjoy themselves. In the room I was sleeping in I got to know what the girls likes and dislikes were, what made me happy was seeing everyone being helpful from cleaning the rooms too cleaning the kitchen together that meant that we had to work as a team which everyone did. My highlight of the camp was the teamwork, trust and care everyone showed each other so thank you ActionArte. I think the camp was wonderful, I enjoyed it! I have learned a lot of stuff that I now have taken home in my pocket. It was nice to have fun with everybody and I like it when everyone is happy. What I enjoyed the most, was the teamwork! Great experience! Seeing the nature and making new friends. 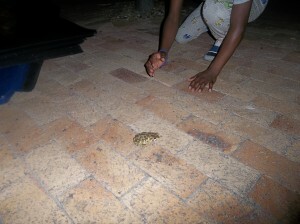 I learned new things about spiders, snakes and frogs and what they are capable of!!! We had teamwork and creativity with numbers, that was very good. 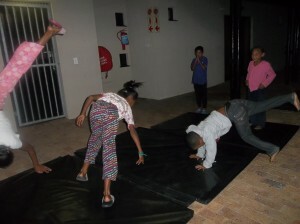 We had a very good presentation as well as a braai and dance -We stayed up late, played a lot of games, there weren’t problems except of laughter and happiness and a little burned from the sun!! !